1Click the Shop icon in your Etsy header bar. 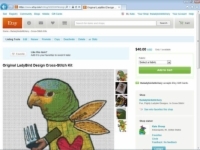 2Click the listing that you want to copy in your Etsy shop. 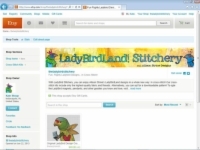 3Click the Copy link in the Listing Tools toolbar along the top of the listing. The List an Item page opens. Another way to launch the copy operation is to open the Currently for Sale page in Your Shop and click the Copy link on the right side of the listing that you want to copy. 4Step through the listing-creation process. As you do, notice that the information in each section is entered for you, based on the listing you copied. You can change this information as needed. 5Click the Preview Listing button to review your listing. This is your chance to check for errors. 6To post the listing, click the Publish button. A new listing based on the one you copied is posted.